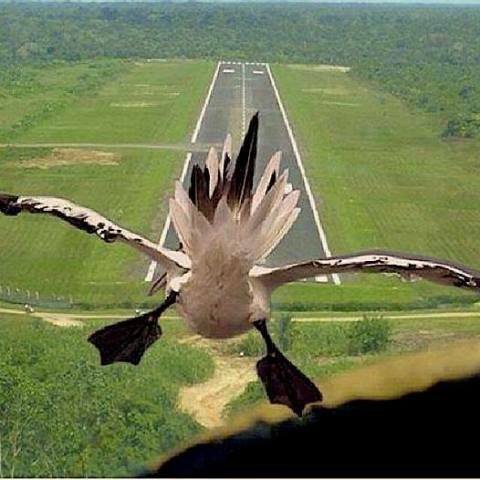 I'd better let ther tower knows that I am coming ins for a landing. Waits! Where's ther water? Don't they knows I is a water birds? Sheesh! I coulds have crashed!